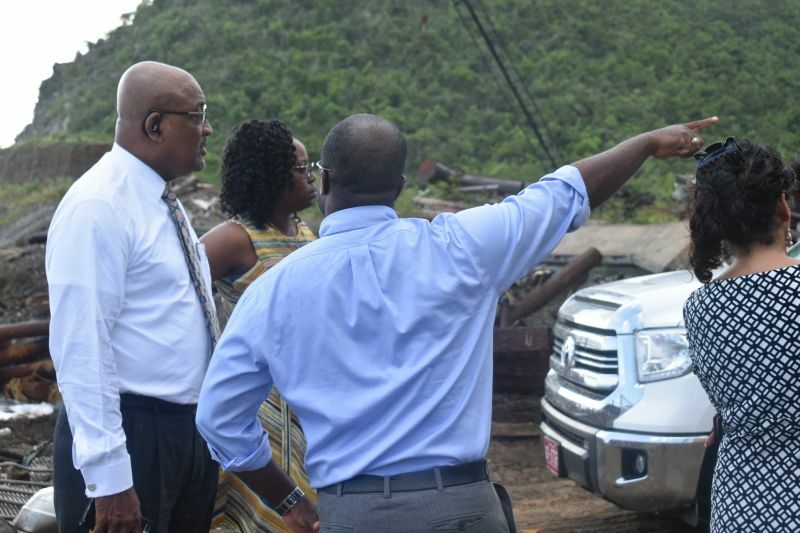 ROAD TOWN, Tortola, VI – Tons of scrap metal and derelict vehicles collected are being barged out of the Virgin Islands (VI), according to a Press Release issued today, October 8, 2018, by the Government Information Service (GIS). 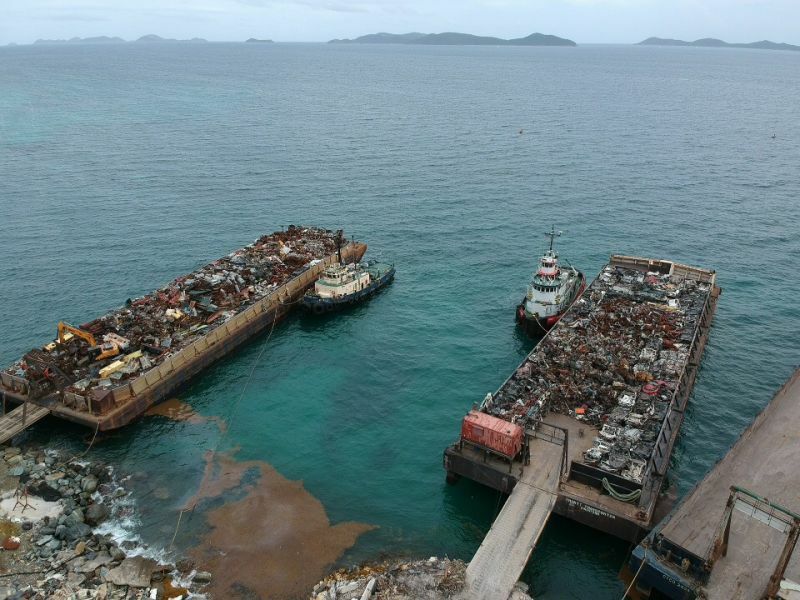 According to the release, Department of Waste Management’s Manager, Greg R. Massicote stated that the teams have been working around the clock this past week to get as much metals and derelicts onto the barges. When speaking about the first barge that entered the Territory, Mr Massicote said, “this barge is about 5,000 tons [in size] which means it is probably going to take about 4,500 tons." The first of the vessels arrived in the Territory on September 27, 2018. Two additional barges arrived subsequent to that. Mr Massicote highlighted that since November 2017, the Department of Waste Management has collected 12,000 tons of scrap metal and 3000 derelicts which include 54 derelicts from Jost Van Dyke. The process and eventual exportation of derelicts and metals on Virgin Gorda is scheduled to start this month as well. The Department of Waste Management continues to collect derelict vehicles until October 20, 2018 on Tortola. Owners are asked to contact the department at 468-4934 to schedule collection free of cost.